For the most part, the next generation of wearable technology development has been focused around your wrist, arm, ears, and even your face. Hair, however, remains a unique and much less explored material… until now, at least. 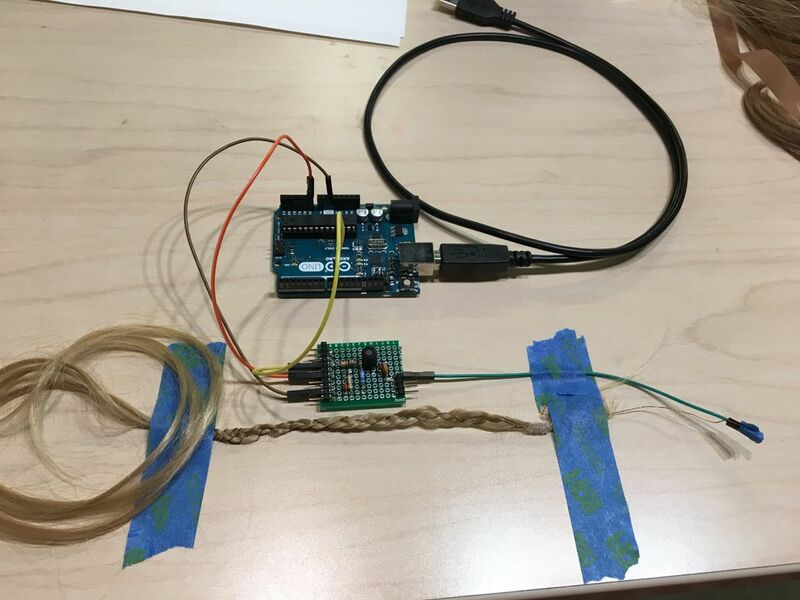 That’s because the team of Sarah Sterman, Molly Nicholas, Christine Dierk, and Professor Eric Paulos at UC Berkeley’s Hybrid Ecologies Lab have created interactive hair extensions capable of changing shape and color, sensing touch, and communicating over Bluetooth. The aptly named “HairIO” conceals a skeleton of nitinol wire, a shape memory alloy (SMA) that morphs into different forms when exposed to heat. An Arduino Nano handles control, enabling it to respond to stimulus such as messages from your phone using an Adafruit Bluefruit board. That’s not the only trick of these fibers, as they can use thermochromic pigments to change color along with the SMA action, and respond to touch via capacitive sensing. Human hair is a cultural material, with a rich history displaying individuality, cultural expression and group identity. It is malleable in length, color and style, highly visible, and embedded in a range of personal and group interactions. As wearable technologies move ever closer to the body, and embodied interactions become more common and desirable, hair presents a unique and little-explored site for novel interactions. In this paper, we present an exploration and working prototype of hair as a site for novel interaction, leveraging its position as something both public and private, social and personal, malleable and permanent. 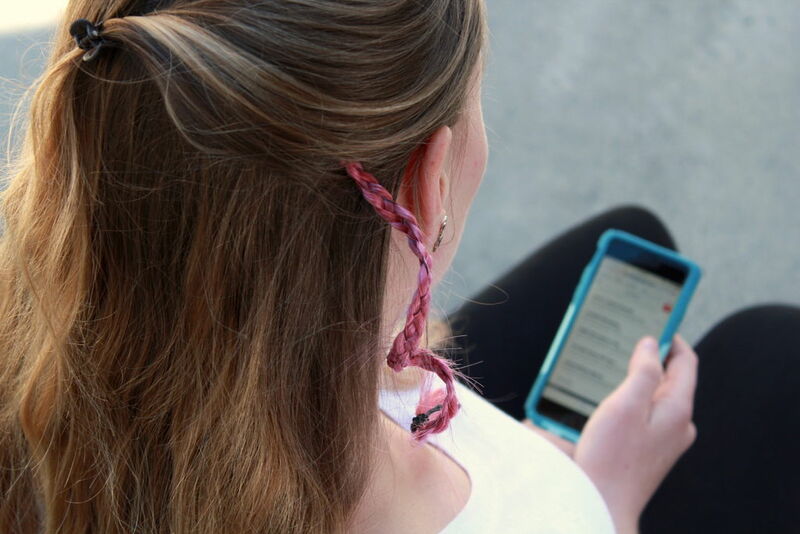 We develop applications and interactions around this new material in HairIO: a novel integration of hair-based technologies and braids that combine capacitive touch input and dynamic output through color and shape change. Finally, we evaluate this hair-based interactive technology with users, including the integration of HairIO within the landscape of existing wearable and mobile technologies. Be sure to check out the video below and read more in the team’s tutorial here!